Chippendale was among the first responsible for the perpetuation of the " Tall Boy," and Heppelwhite, following his example, also devoted his attention to its development, as may be seen by reference to Figs. 6 and 8, Plate VI. While providing ample accommodation for the safe storage of household linen, clothes, etc., as already pointed out, they are by no means unattractive pieces of furniture, extremely simple as is their form. They were made of various dimensions, but the height was usually about the same, viz. :—five feet, six inches. Fig. 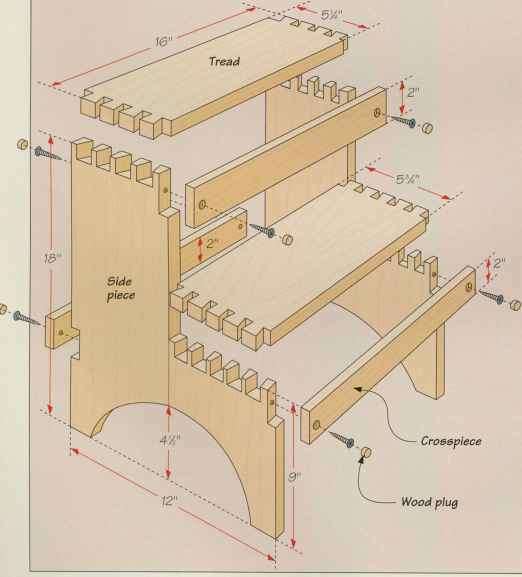 8, with its fluted pilasters at the angles of the corners, is characterised by greater dignity and sturdiness of appearance than are usually associated with this style, and recalls strongly much of the old " Queen-Anne " woodwork. 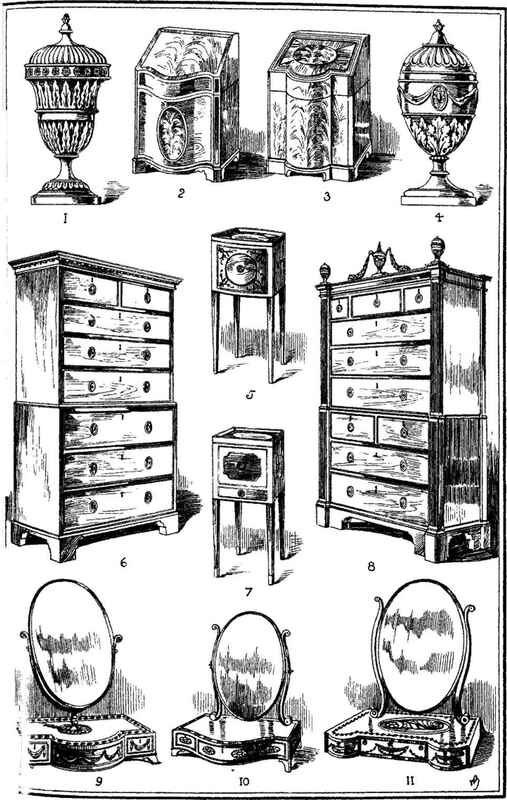 Mahogany was the wood almost invariably employed in the manufacture of these double chests of drawers, and in the latter part of the century it was often enriched by satinwood " banding" (long thin strips of satinwood inlay).